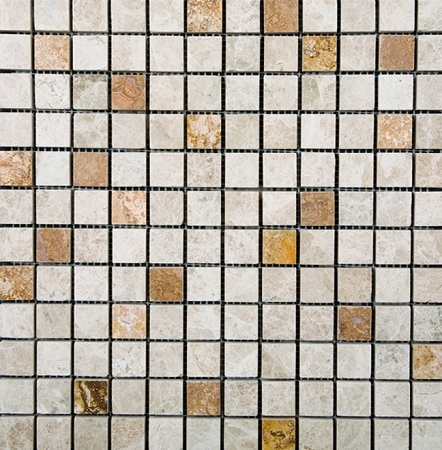 Emperador Light Gold Polished Marble 1x1 Mix is a colorful piece of marble that comes in the shade of light gold, dirty white, ivory, and brown. It is mostly made up of materials like calcium and dolomite. It has a shiny and smooth surface. Advantages: Emperador Light Gold Polished Marble 1x1 Mix is a sturdy and robust material that can retain its beautiful appearance after a long period of extensive use. However, sealants must be applied every year. It is scratch and water resistant. It can be installed easily and it is available in many colors or designs. Best Used For: Emperador Light Gold Polished Marble 1x1 Mix is an outstanding material that can give marvelous appearance to any indoor or outdoor applications. 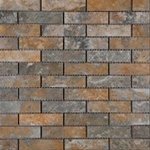 It gives a luxurious atmosphere to your floors, walls, and any countertops. Q: What is the actual dimension of the mesh that the 1x1 tiles are attached to? A: The dimension of the mesh is 12x12. We apologize for the late response, there was a glitch in our Q&A system and we appreciate your patience.